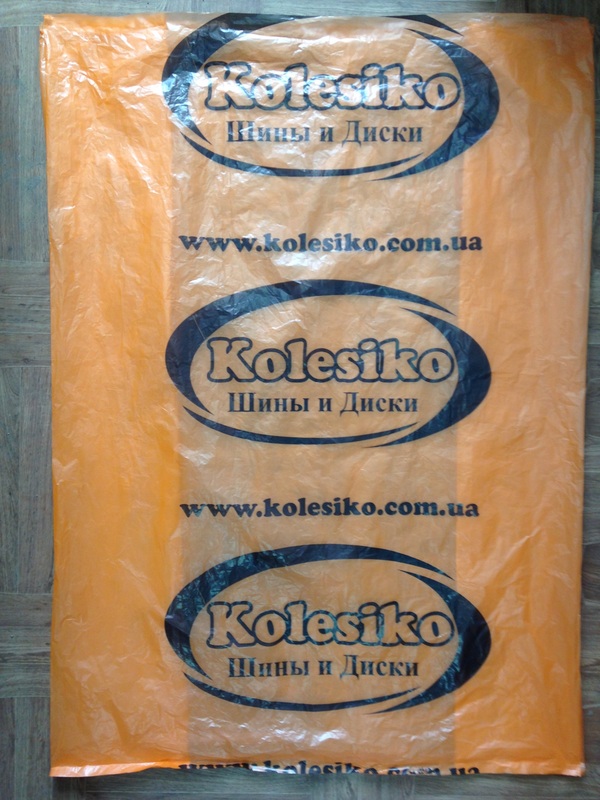 Polyethylene “banana” bags with logo. 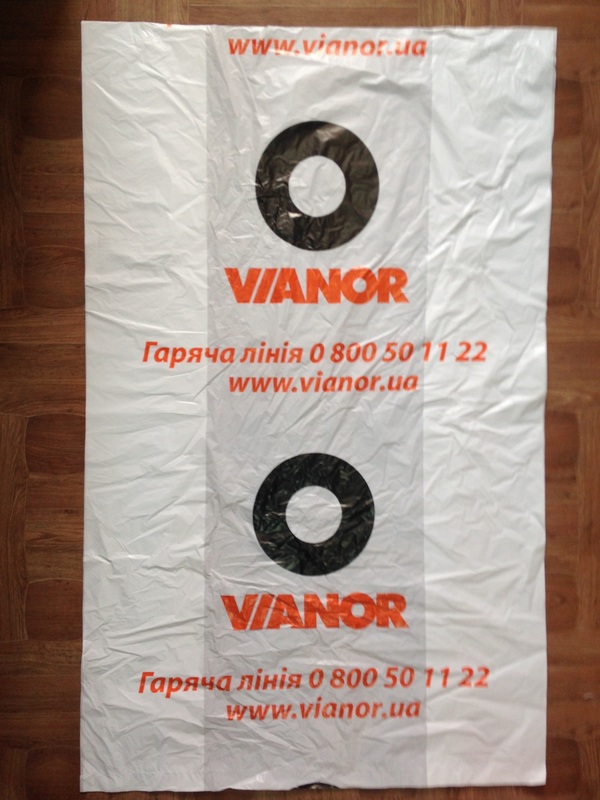 Polyethylene “banana” bags with application of the logotype. Dimensions: 360*600, density: 50 microns. 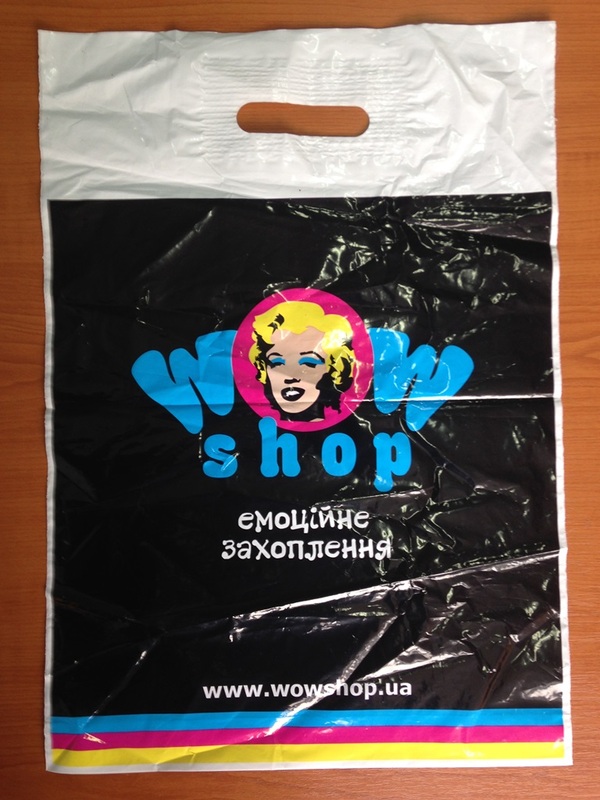 Polyethylene t-shirt bags with printing. 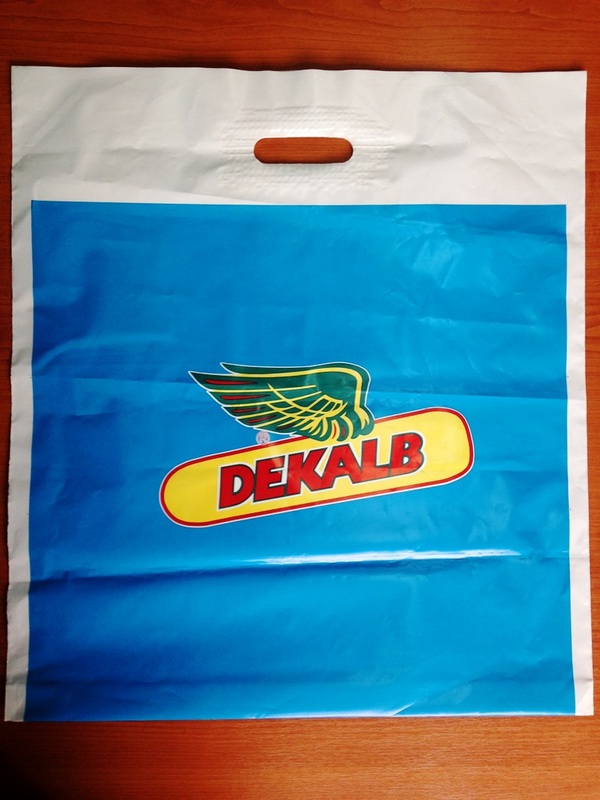 Polyethylene t-shirt bags with two-color printing made for a network of grocery stores in Kiev. 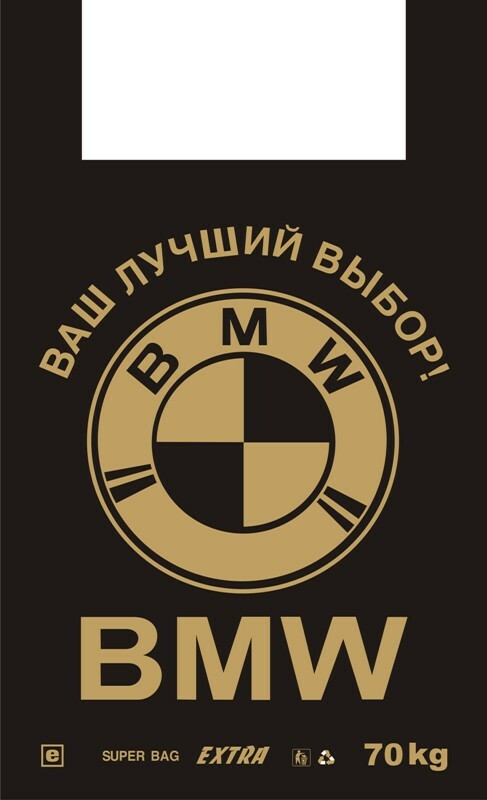 BMW – serial polyethylene bags. 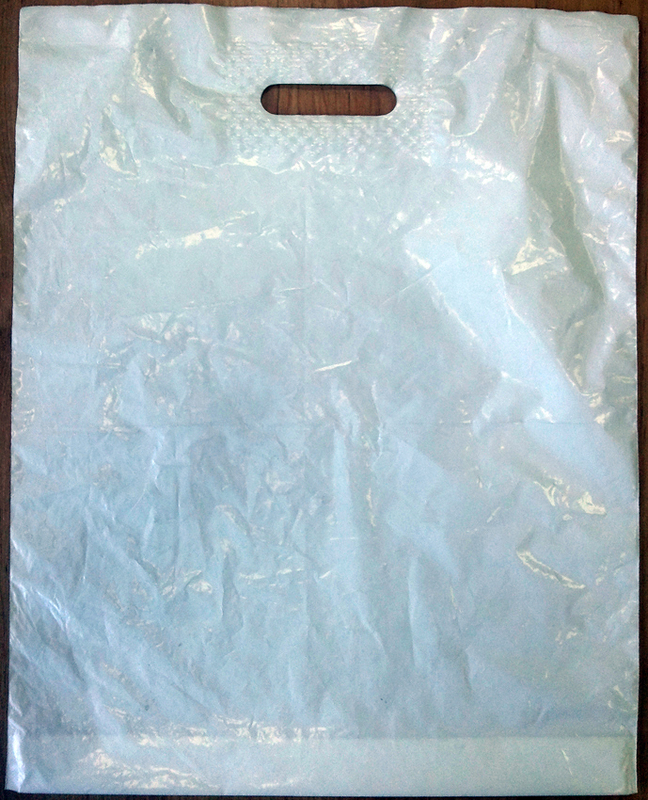 Polyethylene t-shirt bags – Electronics. 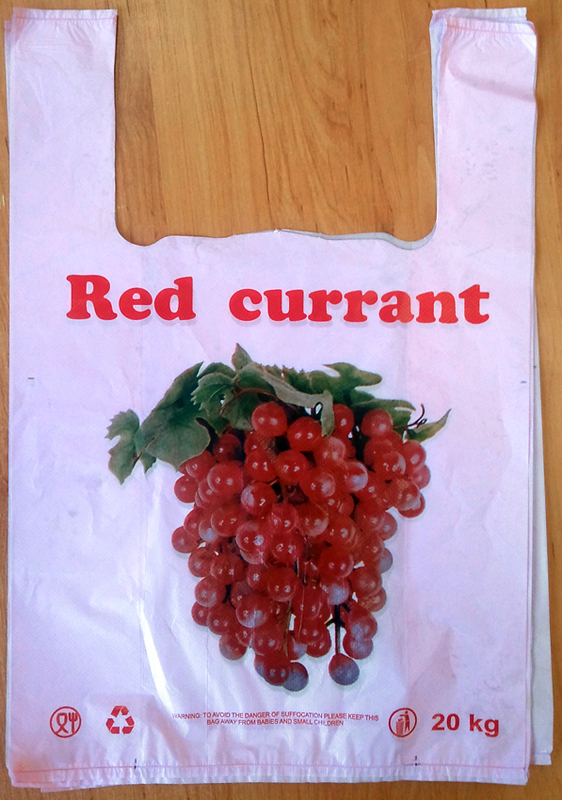 Polypropylene bags with euro hang tab. 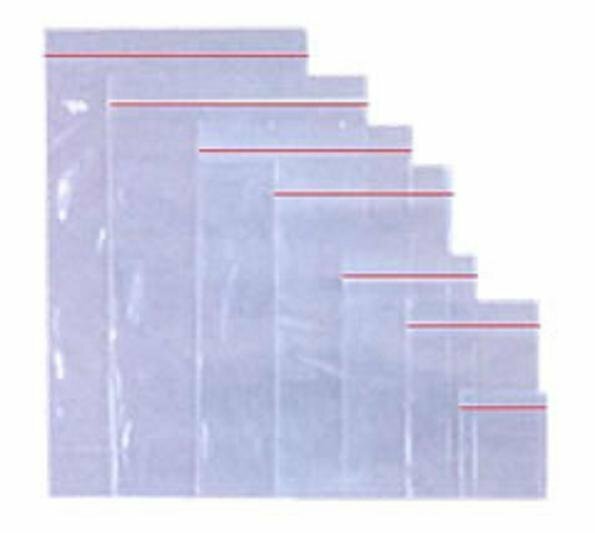 Polypropylene bags with flap and sticky tape. 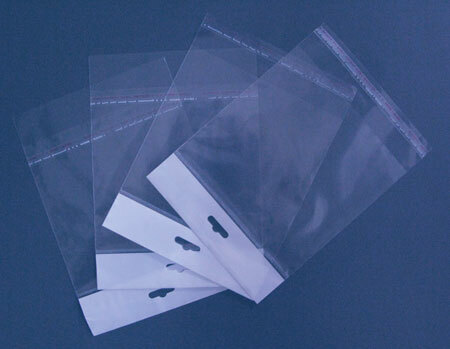 Polypropylene bags with sticky tape have presentable appearance and are made of bi-oriented polypropylene. 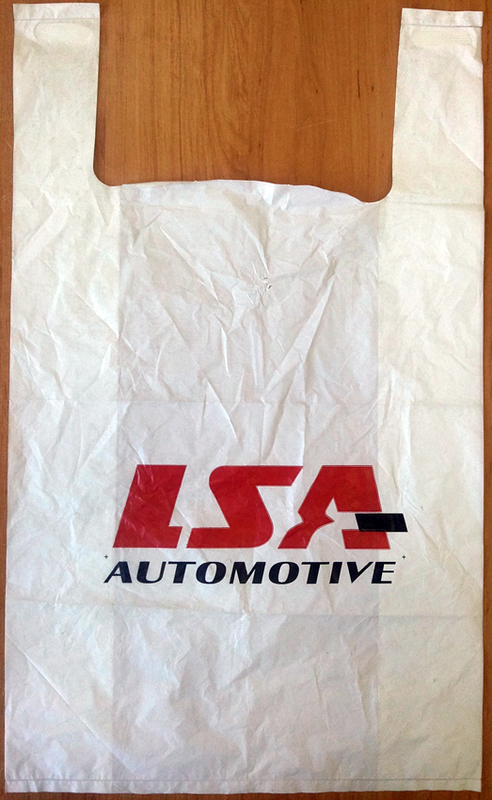 Polyethylene bags for tires and wheels with printing. 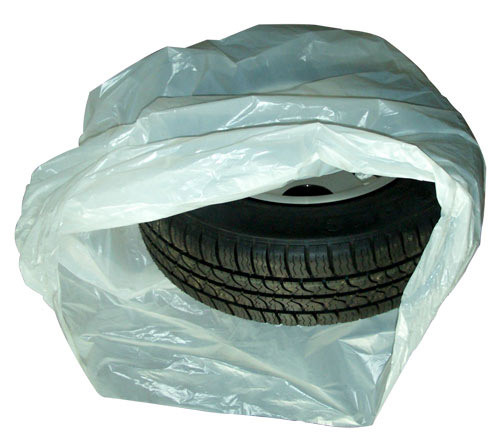 Bags for tires are repeatedly used for packaging of new and used wheels. A great way of advertising for tire shops and rubber sellers. 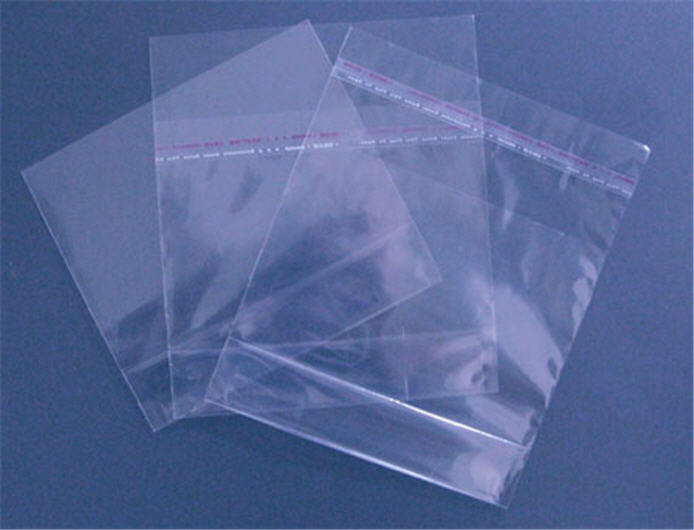 Zip-lock bags are made from low density polyethylene – LDPE. 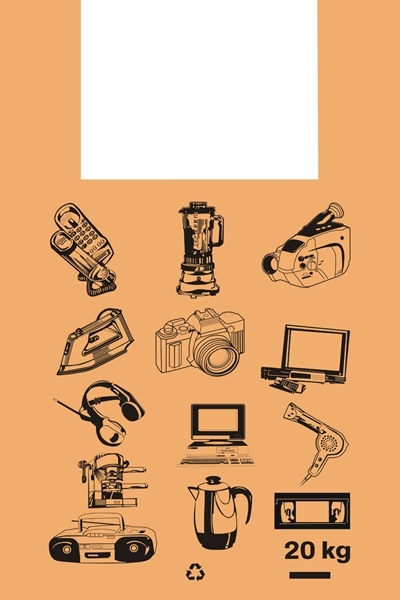 Presented in a very broad range of stock, various dimensions. 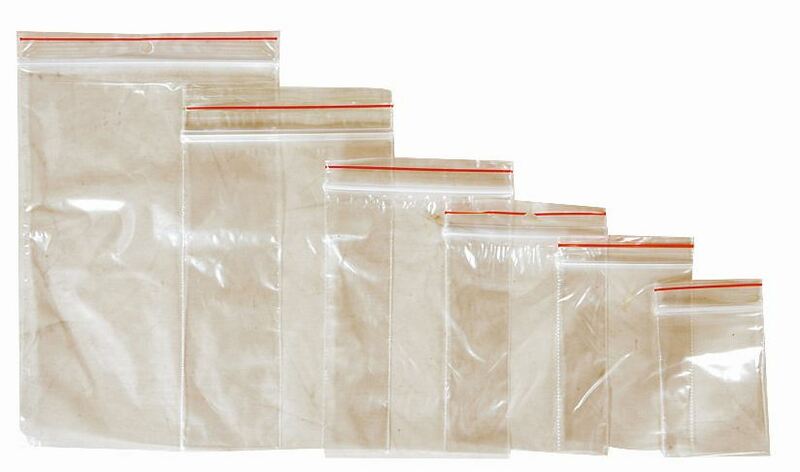 Zip-lock – these are polyethylene bags with a lock, used for packaging of different small products. 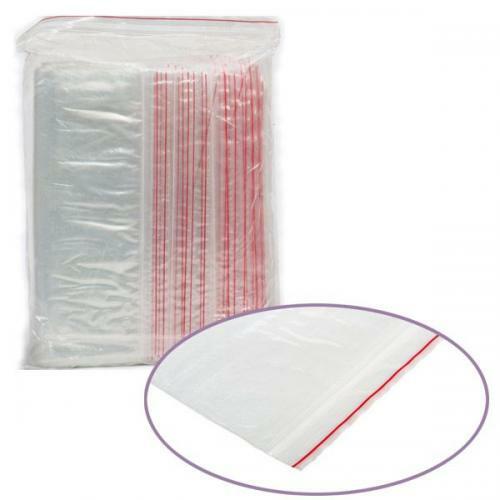 Polyethylene bags with strengthened dinking handle. Made to order for womenswear shop from LDPE through flexographic printing. 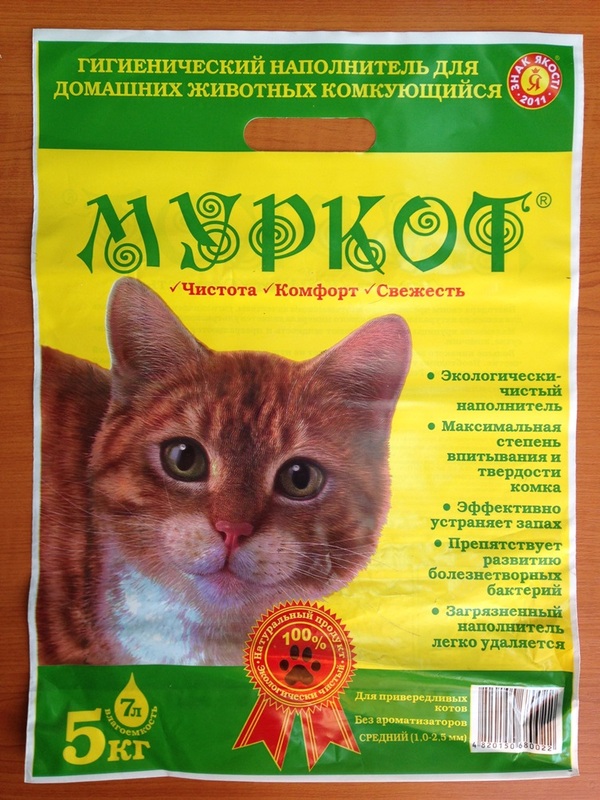 Polyethylene bags with the logo of the company. 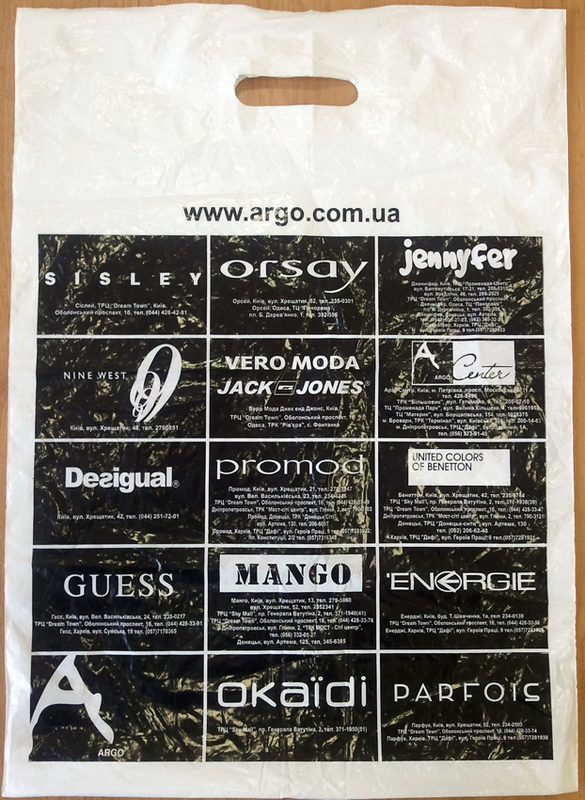 Bags with logo made of polyethylene. 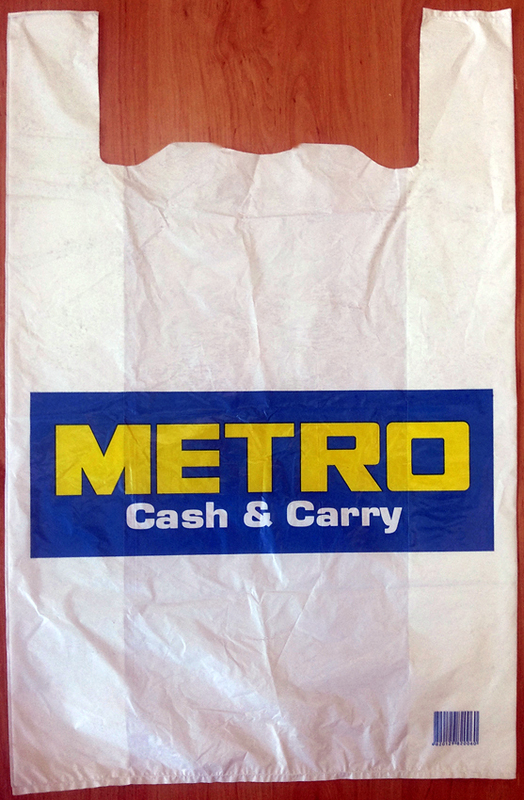 T-shirt bag with side laying with the logo of METRO Cash and Carry. Material – HDPE with a thickness of 30 microns. 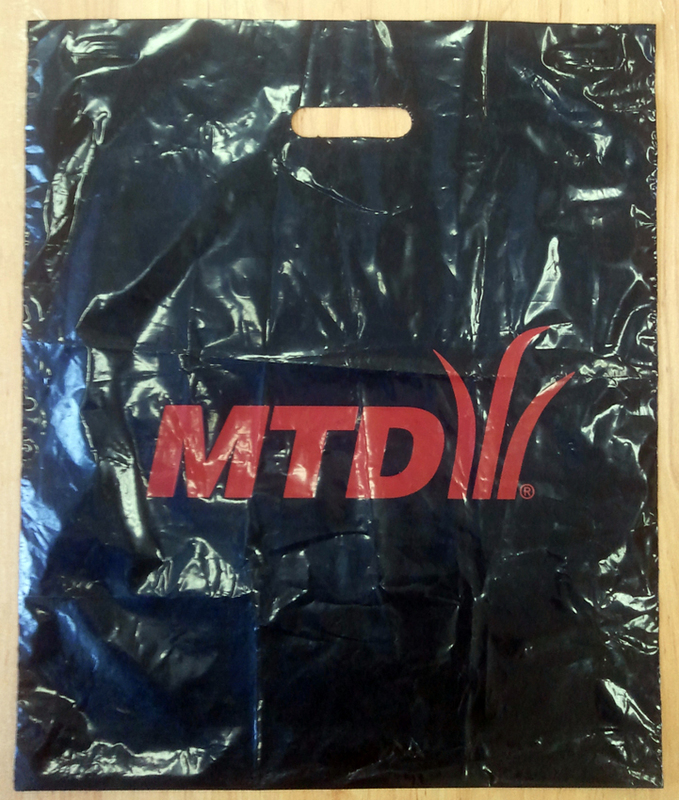 “Banana” bag with MTD logo made of LDPE with a thickness of 50 microns. The handle is not strengthened. Black color. Dimensions: 500*410. 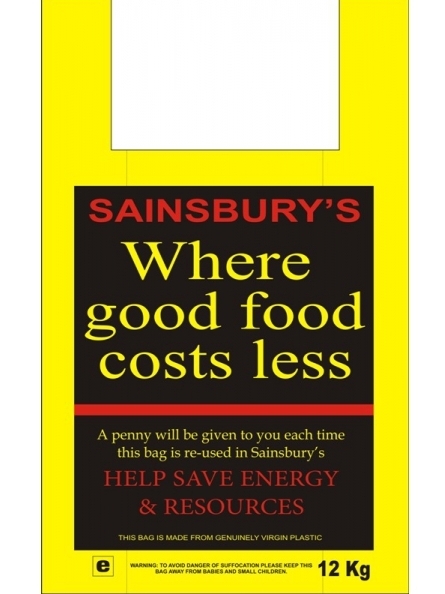 A bag with a loop handle and printed logo, with the bottom insert made of LDPE. 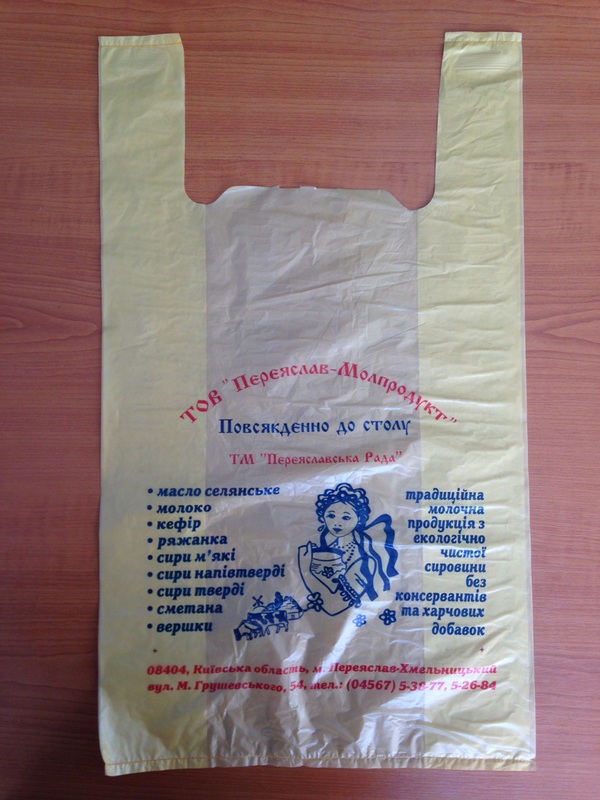 Manufacture of plastic bags to satisfy your requirements. 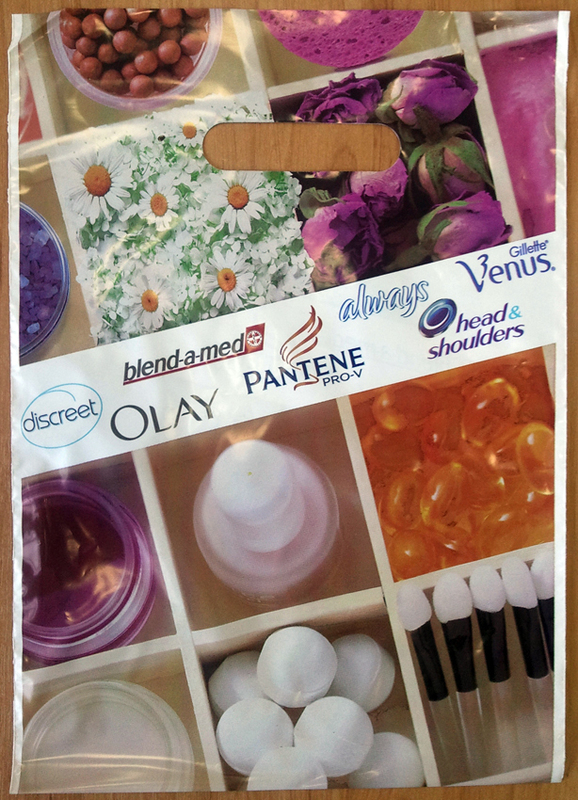 A bag with a dinking handle without the bottom insert made of LDPE with printed logo. The handle is not strengthened. 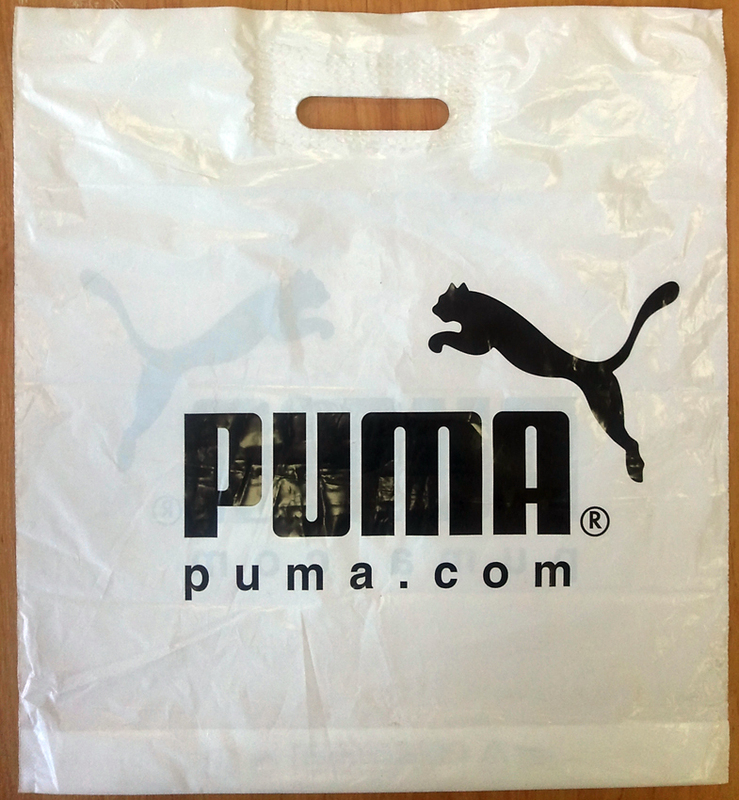 “Banana” bag (with dinking handle) for sportswear, branded with PUMA logo. With reinforced handle and a bottom insert. 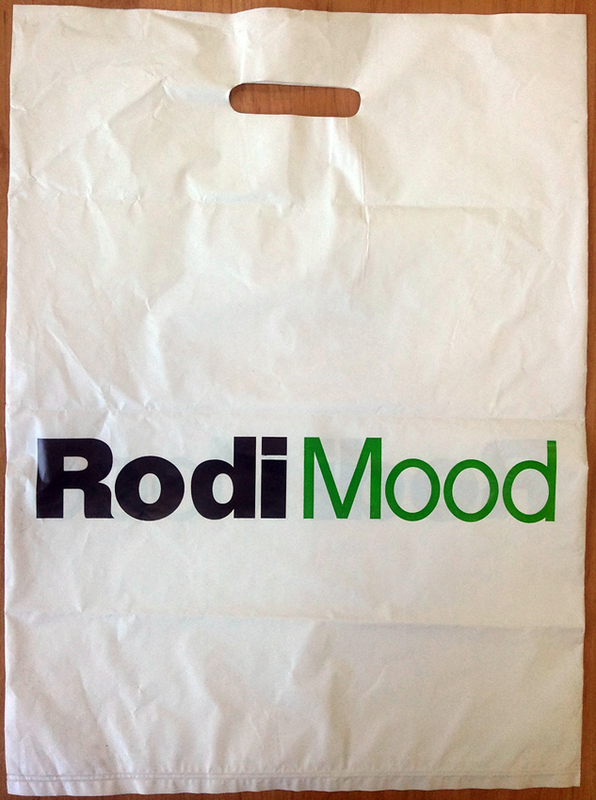 Bag for RodiMood brand. Without strengthening of the dinking handle and the bottom laying. Material – LDPE with a thickness of 50 microns. 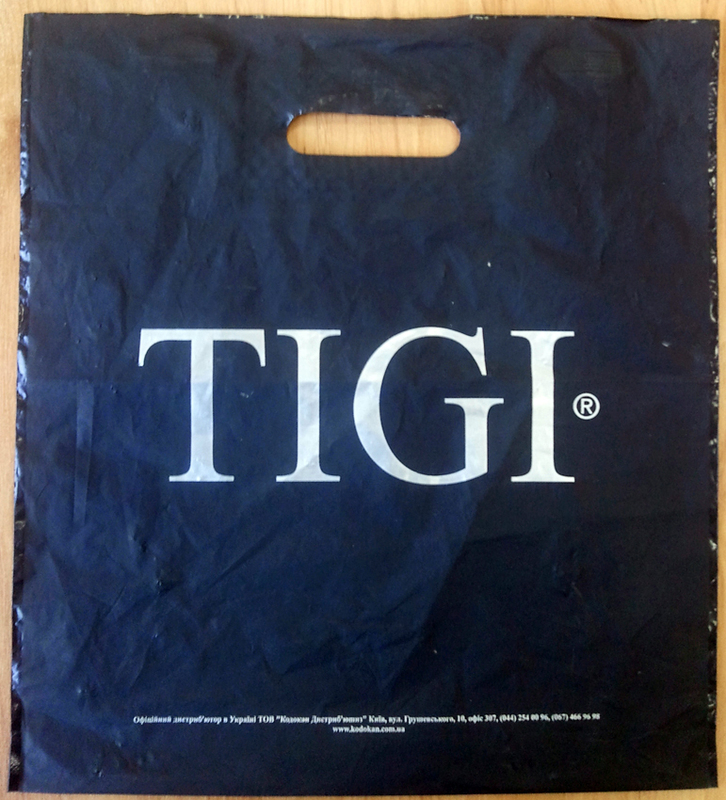 T-shirt bag with application of logo. Material – HDPE with a thickness of 25 microns. 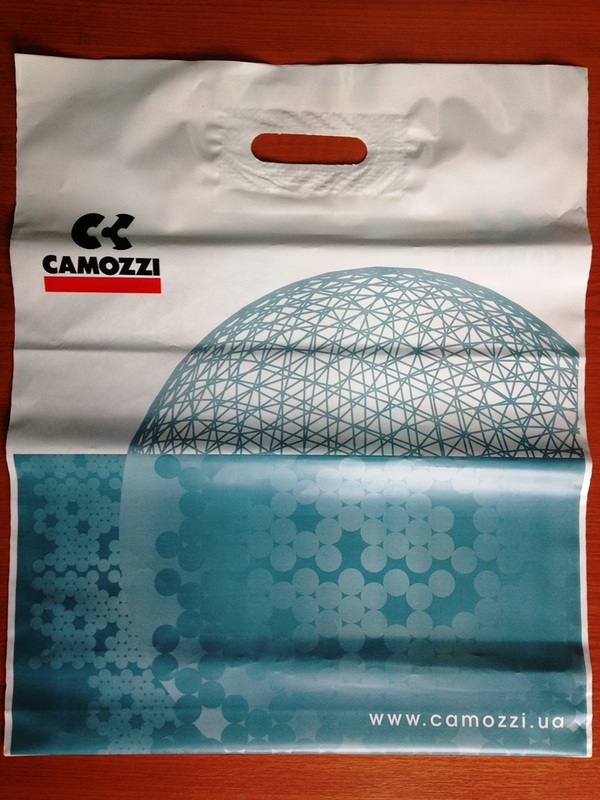 Bag dimensions: 360*600. Printing 2 + 0. 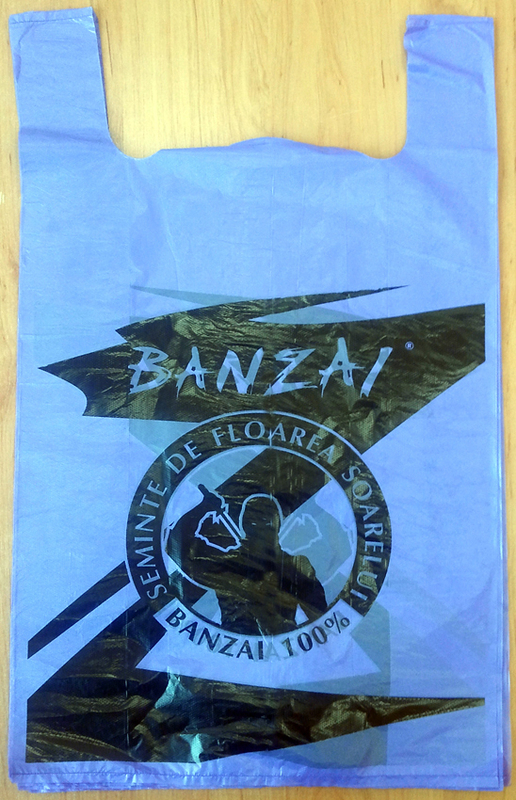 “Banana” bag with full-color printing through flexoprint. 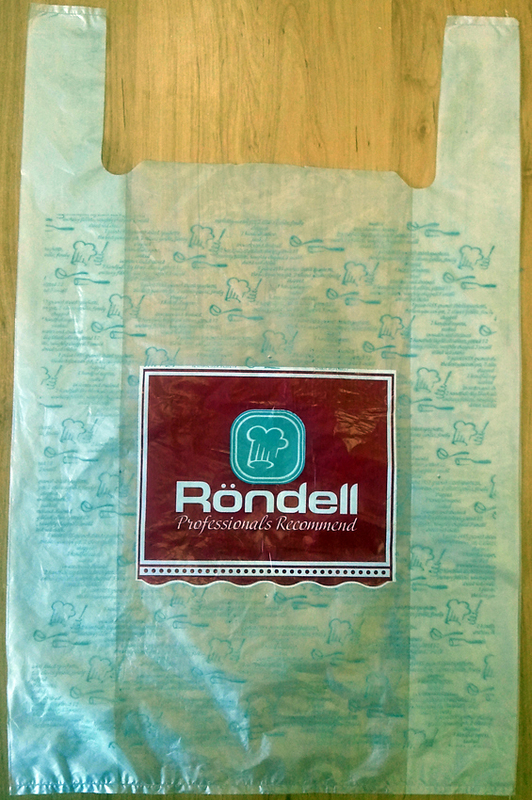 Röndell – branded t-shirt bag with printing. Material – undyed HDPE with a thickness of 20 microns. 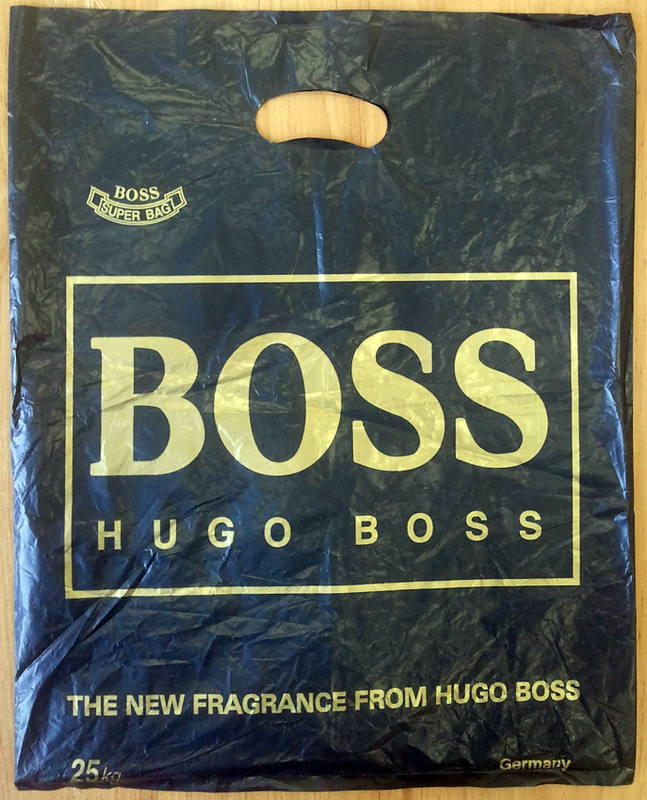 Bag dimensions: 420*680. A bag with dinking handle made to order of elite clothes manufacturer. 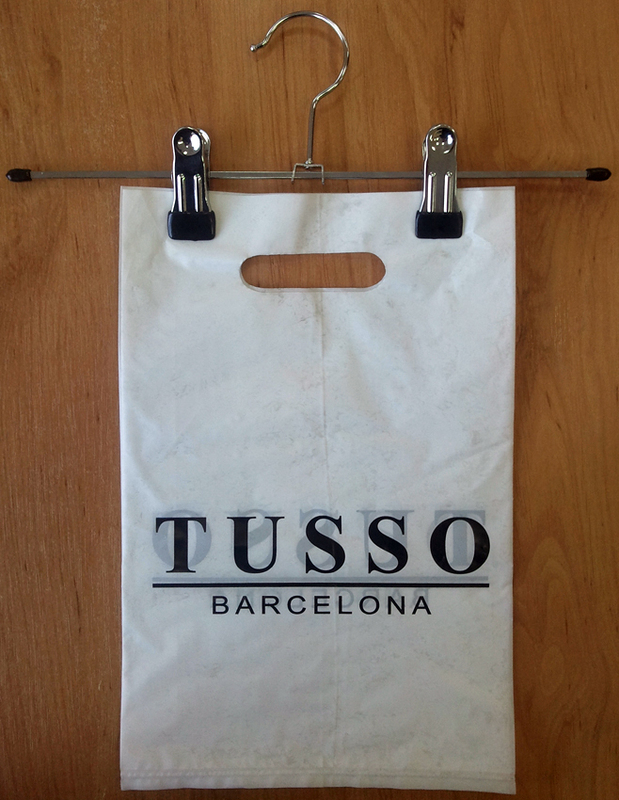 T-shirt bags. 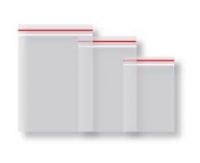 One-sided single-color printing. “Banana” bag with a matte finish, logotype and strengthened handle. 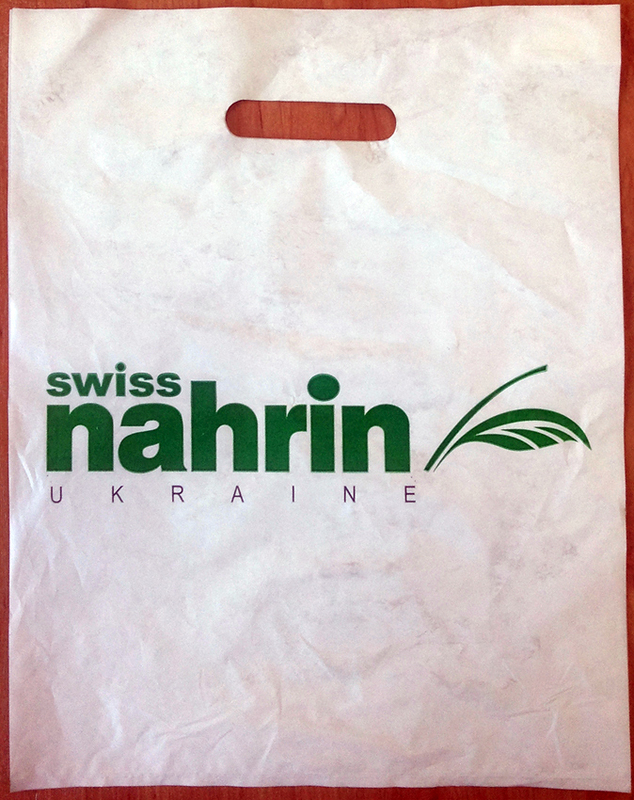 A bag with logo made to order of custom Nahrin company – Swiss producer of natural cosmetics and vitamin supplements. 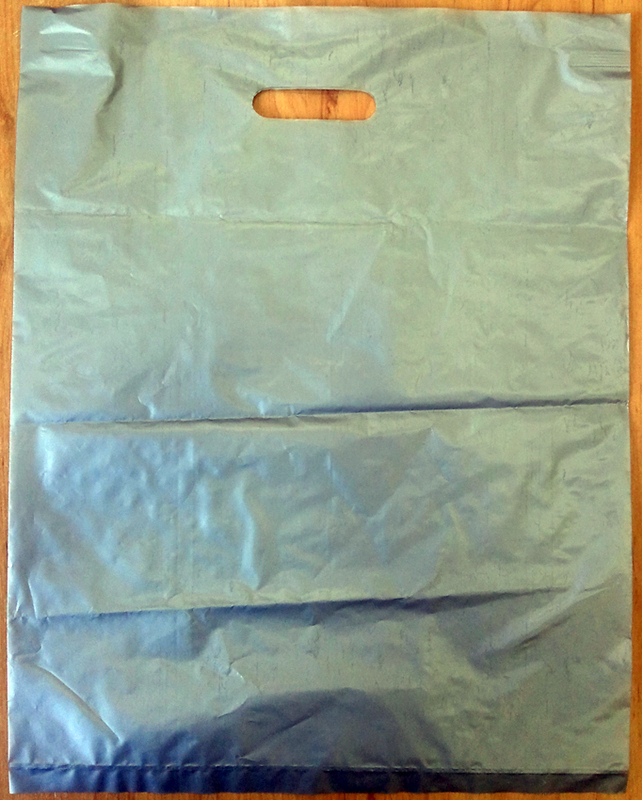 A bag with dinking handles without printing. 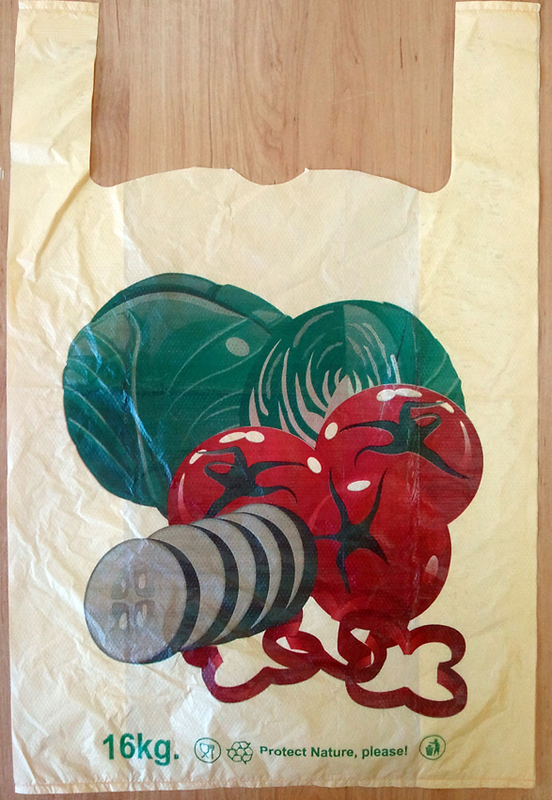 Handle of the bag is strengthened, there is a bottom laying. 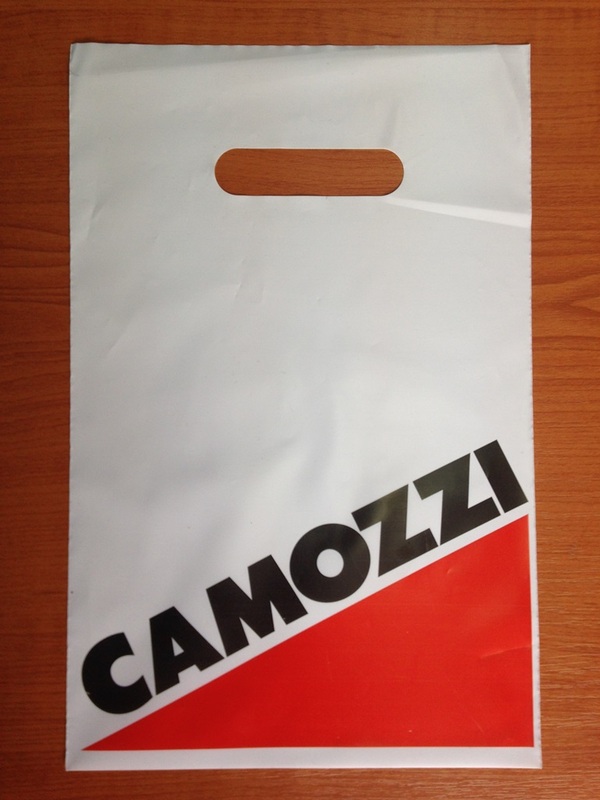 T-shirt bag with full-color single-sided printing. Material – HDPE, with a thickness of 15 microns. Material – HDPE (high density polyethylene) with a thickness of 12 microns. 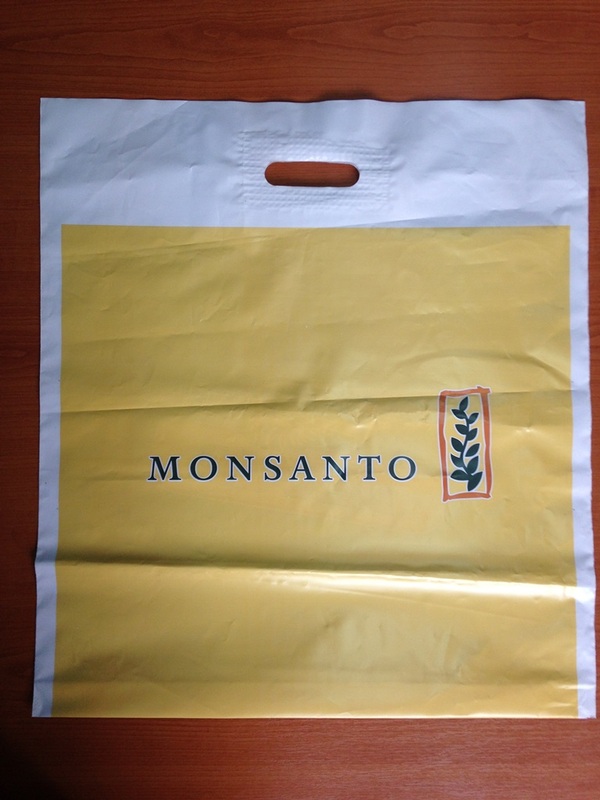 Branded bag with slotted handle. 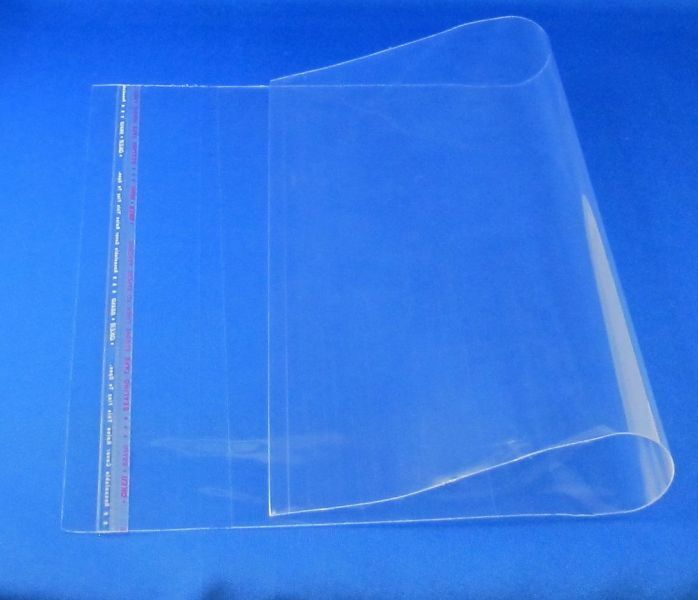 Material – LDPE with a thickness of 30 microns. Bag dimensions: 195*300. 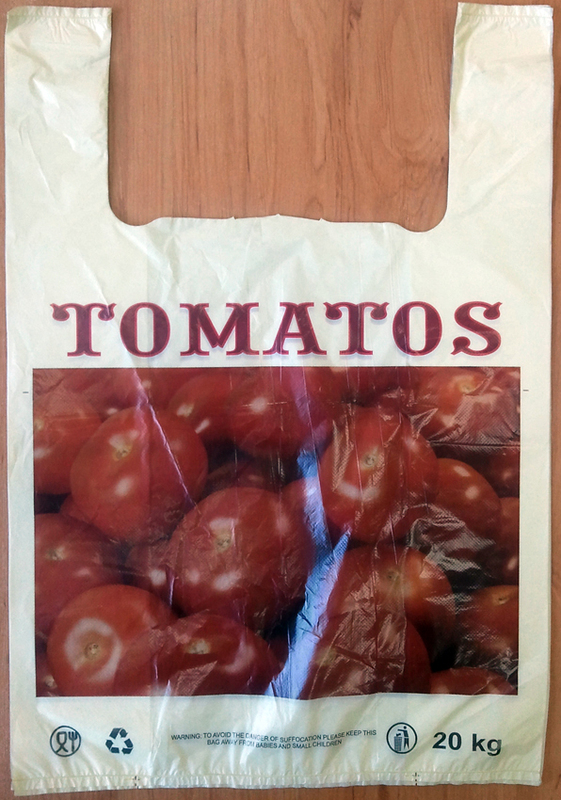 Bag with slotted handle and a full-color image. 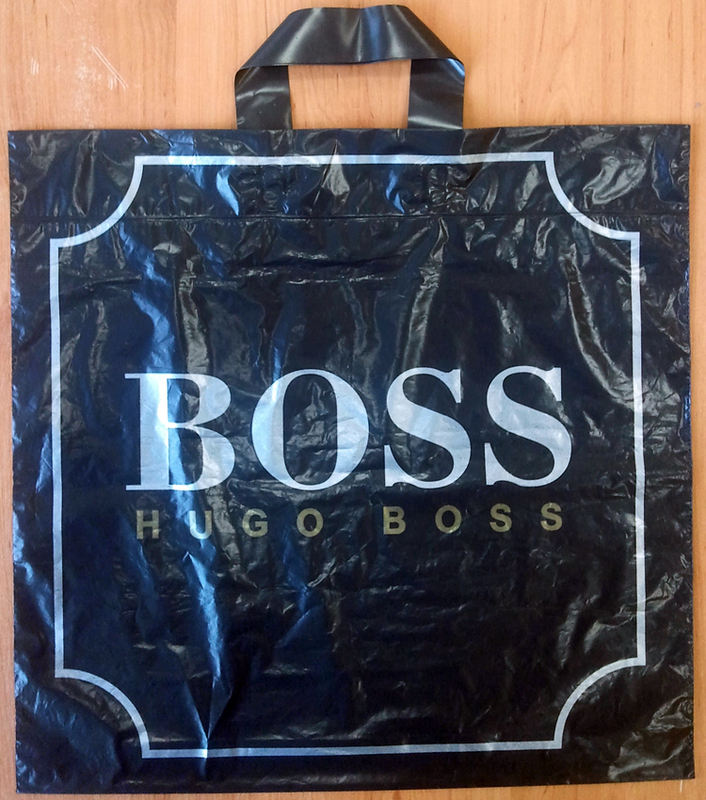 A bag with slotted handle and double-sided single-color printing (1 + 1). T-shirt bag with printed picture of vegetables. 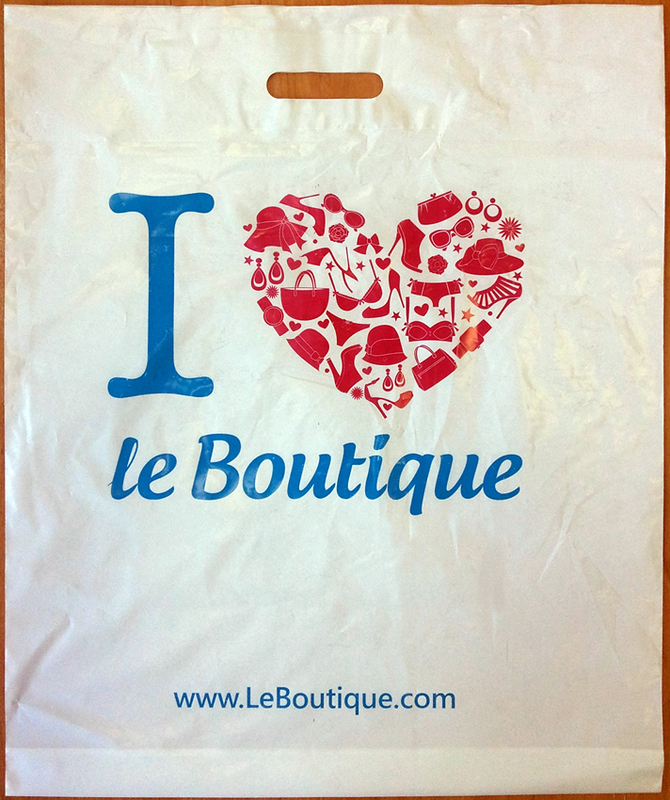 le Boutique bag with double-sided color printing. Material – LDPE with a thickness of 55 microns. Bag dimensions: 490*600. 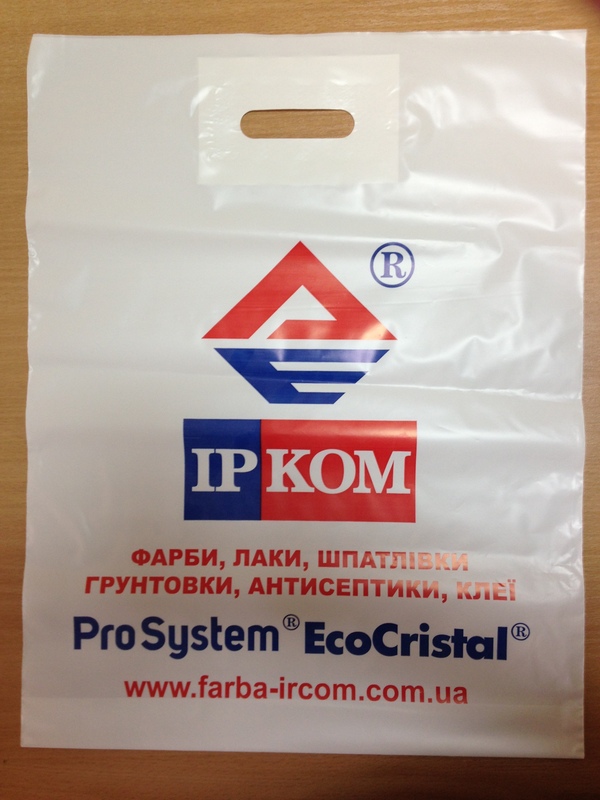 Polyethylene bag without printing of logo. 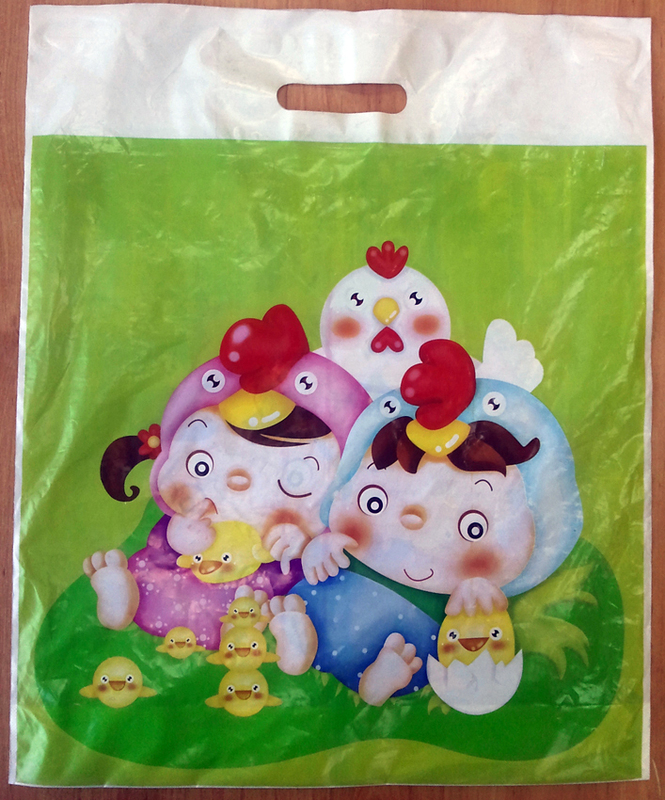 This is a t-shirt bag with one-side full-color printing. Material – HDPE with a thickness of 15 microns. Bag dimensions: 295*490. 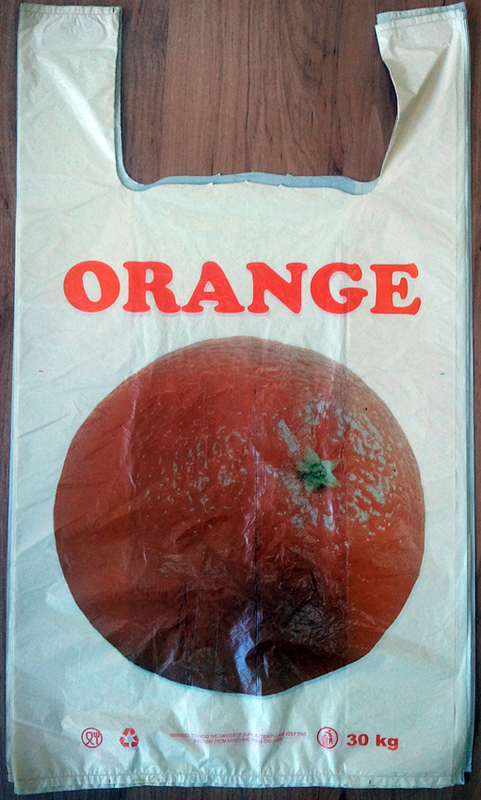 Copyright © 2015, Plastic bags and film – King Plast Production – LDPE. Wholesale purchase – the best price in Kiev and Ukraine.